If someone asks you to name a space that detains your inspiration, your probable answer would be heart or mind, but in design world the correct answer is bedroom wardrobe. Business or play this particular space signifies the many aspects of a person and his life. From formal suiting to casual jeans, your wardrobe is full of past, present and future contents. That little box of belongings to your favorite shirt and pair of shoes, everything can be found in this bedroom wardrobe. 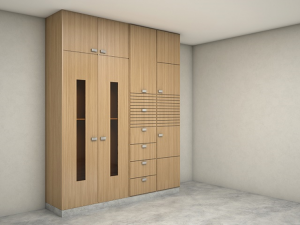 And alike its contents, every wardrobe design has its own attributes. Choices like various wood finishes and integration of lighting add definitive style to it. Whilst functionality and vibrant appeal help you give it your own touch. Owing to these features, even designers have started paying homage to wardrobe that is once considered a dreary little space to keep stuff. With a little zest, interior designers in Pakistan have started turning them into premium showcases. As a result, people are more than willing to pay high prices for them. 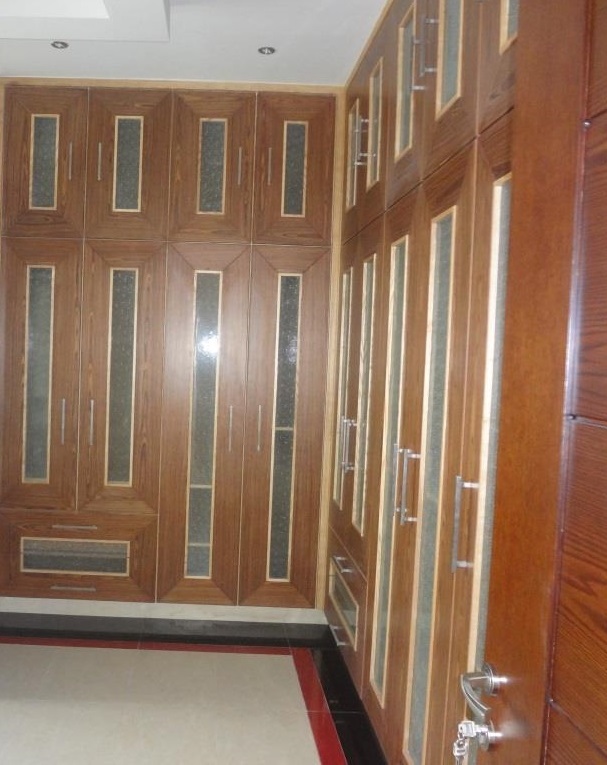 AmerAdnan Associates too occasionally design wardrobes for its clients. 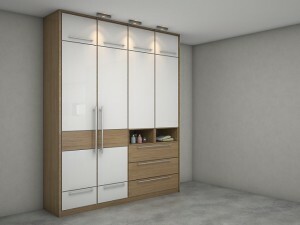 Most of our wardrobes are made of wood, but there are other materials which we use to build them. However, what really varies are their color and finishes. 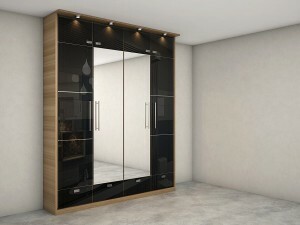 This elegantly designed wardrobe has ash wood splayed all through it along with tempered glass. It is found with modern hardware and refined finish to give your space a contemporary and warm appeal. The lighting above the cabinetry is aiding in augmenting the grand appeal. This contemporary wardrobe features leaves of tempered glass and mirror. Whilst the sides of the modern cabinetry flagrantly exhibit ash wood. Overhead lighting is further enhancing the appeal of the splendid marvel. This elaborate wardrobe is ornamented with fine ash wood and offers plenty of storage space. Cabinets and drawers of all sizes are further adding to the style, whereas handles seems to be creating a pattern.